Sadly, Microsoft’s mobile platform has been sputtering with little sign of life left but the company hasn’t given up on the mobile space entirely. We’ve seen a number of experimental and staple applications come from Microsoft to Android over the years and now we’ve learned we’re getting two more. 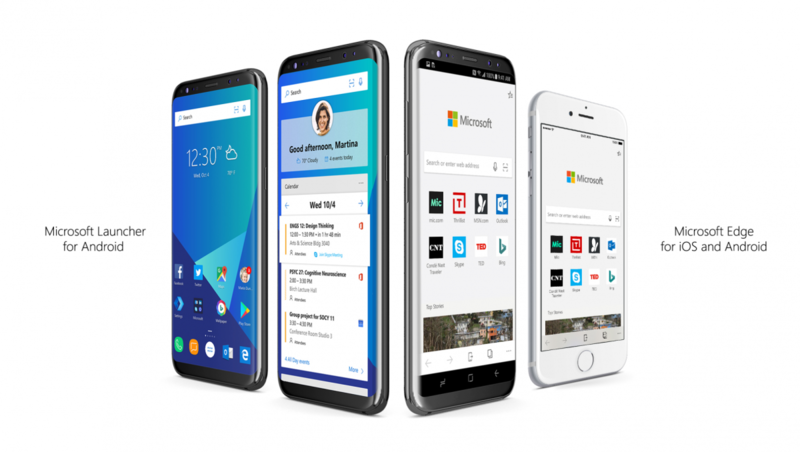 The company has officially announced that both the Microsoft Edge web browser and the Microsoft Launcher are coming to Android via the Play Store. Now, Microsoft has had its launcher application in the Play Store for quite some time. You can find the application page here, but so far it has only been available in a preview build and is said to not be considered final or even stable. The announcement post makes it seem like the Microsoft Launcher being in the Play Store is new, but as you can see, it has already amassed 5 to 10 million downloads and it received an update back in September. The article does indicate that there’s a big update coming though so be prepared to receive that update notification from the Play Store soon. What we don’t have in the Play Store right now is the Microsoft Edge web browser and while the company is launching it on iOS today, they’ve said it’s coming to Android “soon.” It too will be published in a “preview” state so expect it to receive multiple updates and changes as the development team continues working on it. The goal of both of these applications is to bring a more tightly integrated experience between the smartphone and the computer (assuming you’re running Windows 10). The upcoming Windows 10 Fall Creators Update will include a new feature called “Continue on PC” that will be supported in both the Edge browser as well as the company’s launcher. We’ll have to wait and see how reliable it is, but they have a lot of competition in the space with Chrome and custom launchers.